Have you ever felt heartbreak over a discontinued menu item? Is there a specific flavour of something or other that was once ingrained into your daily routine, nay, defined your very existence… only for it to suddenly disappear off store shelves? 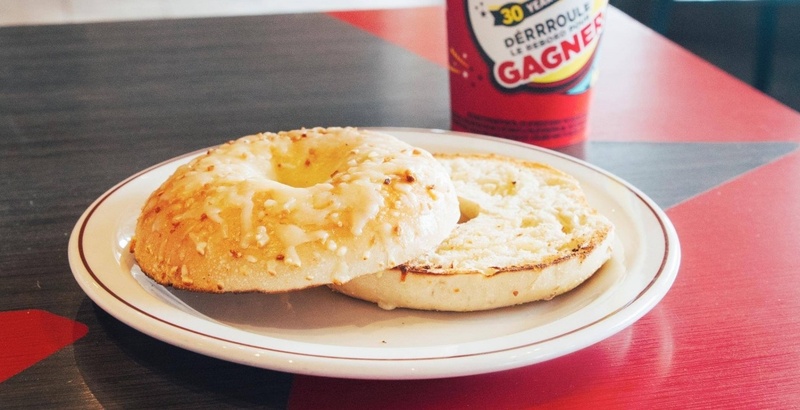 Narrated by a deep, deadpan voice not dissimilar to Ken Nordine, a new video from Toronto-based channel We Dig delves into the endangered status of the Tim Hortons Sundried Tomato Bagel. I remember my first bite into a sundried tomato bagel toasted with butter. It asserted its Asiago, popped with tart tomato, and smoothly finished with a buttery pillow. It was a five-minute pizza party in your mouth topped with butter, a savoury jazz solo of satisfaction… it was a dollar more and I paid gladly. I was in love. Per the video timeline, the speciality bagel was first introduced in the mid-2000s but slowly phased out of the regular bagel line up sometime around 2014. It’s a hopeless tale… mostly. Until the narrator calls Tim Hortons HQ that is, only to learn the distinction between “optional” and “discontinued” products. As it turns out, the status of this specific tomato and cheese-topped bagel is “optional” making it a unicorn on menus at select outlets where the demand exists.